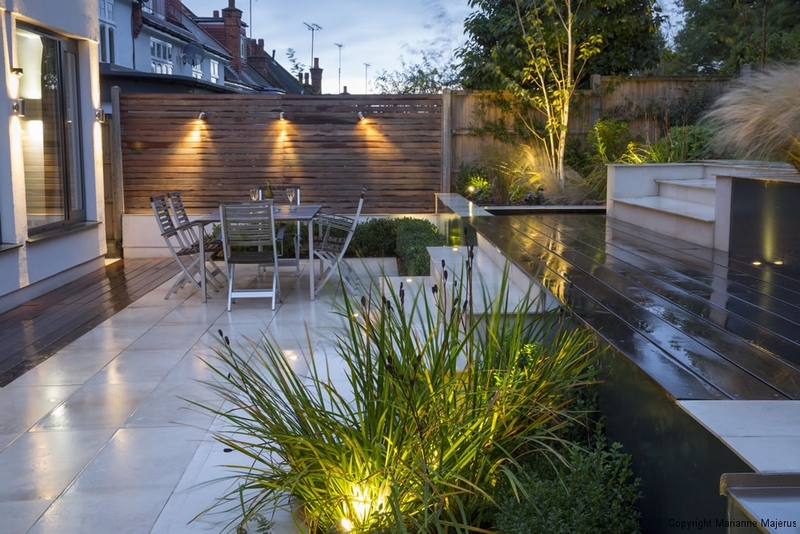 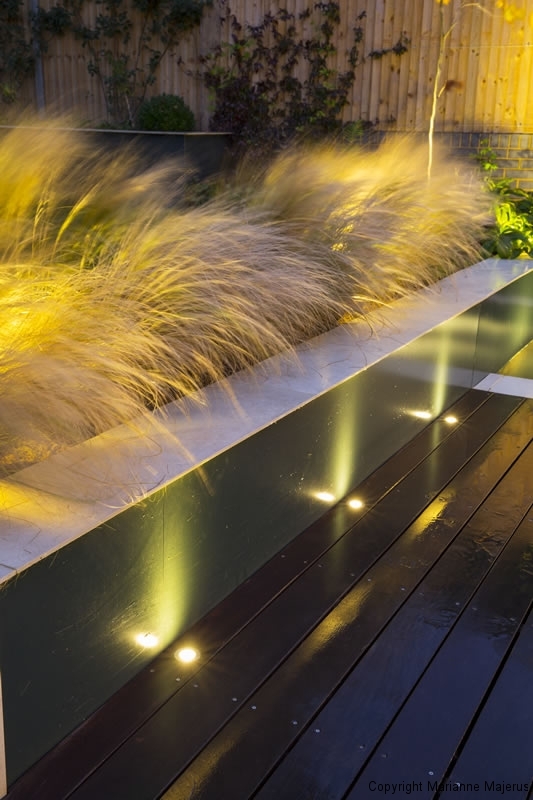 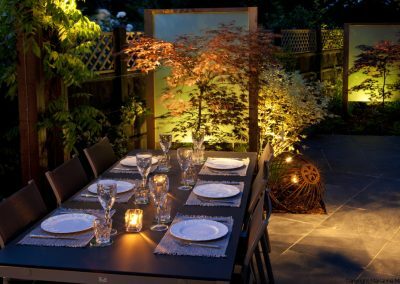 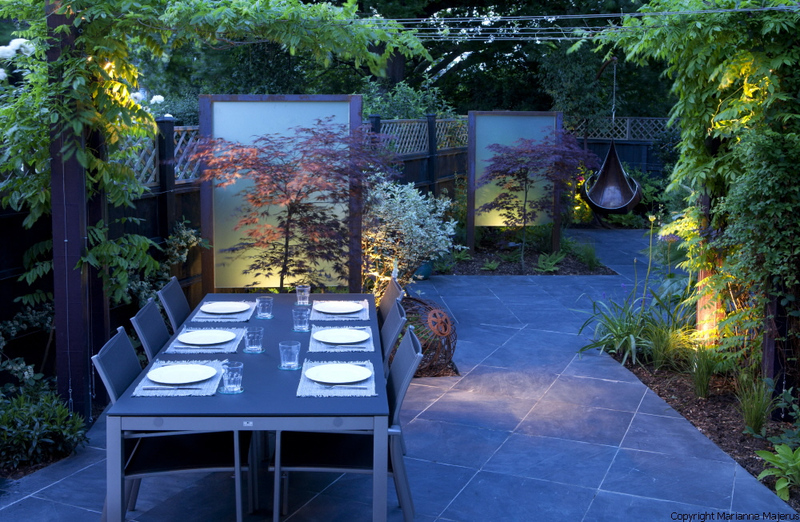 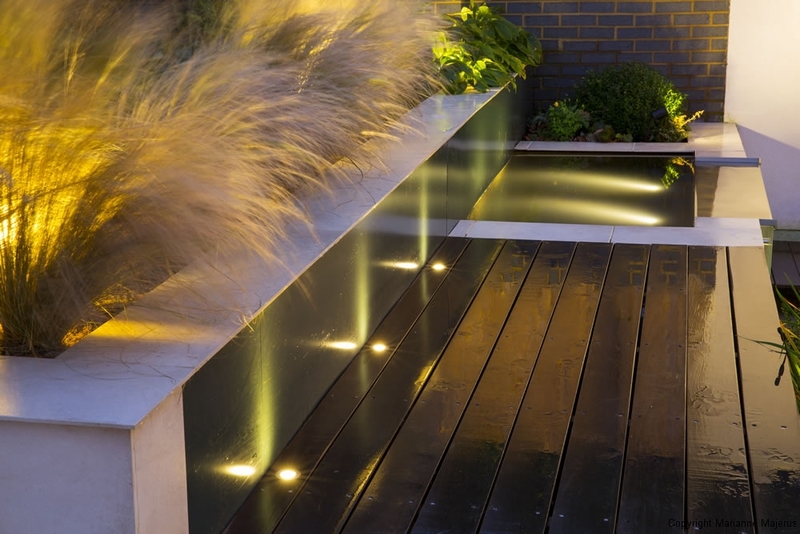 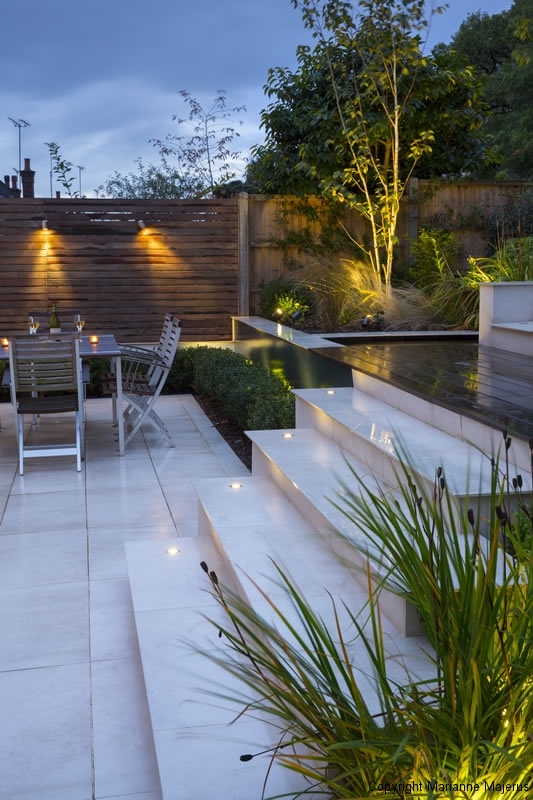 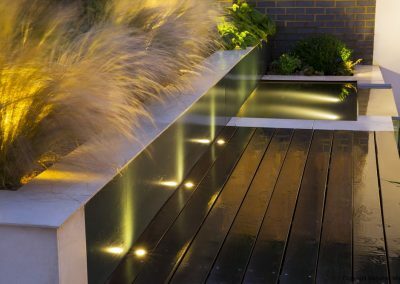 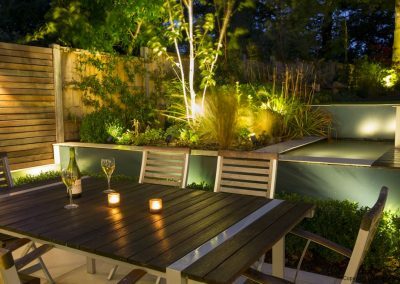 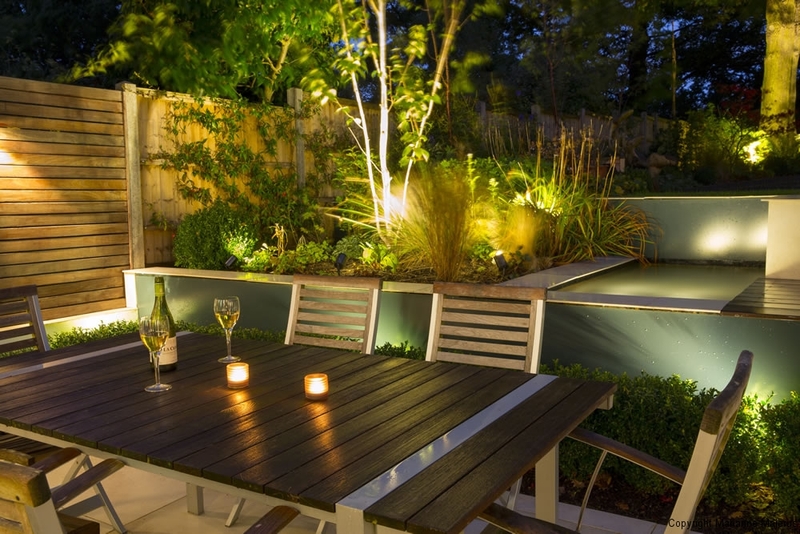 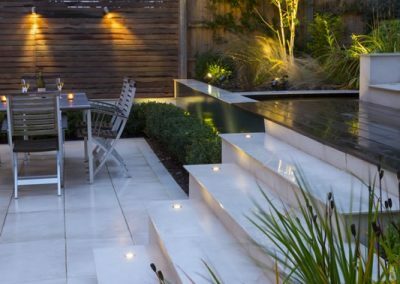 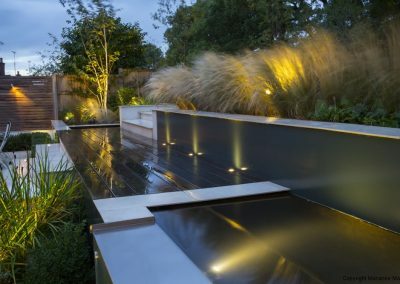 As the daylight slowly fades the garden takes on a different mood altogether and a well -designed garden lighting scheme can dramatically enhance the enjoyment of a night time garden design or a winter garden design. 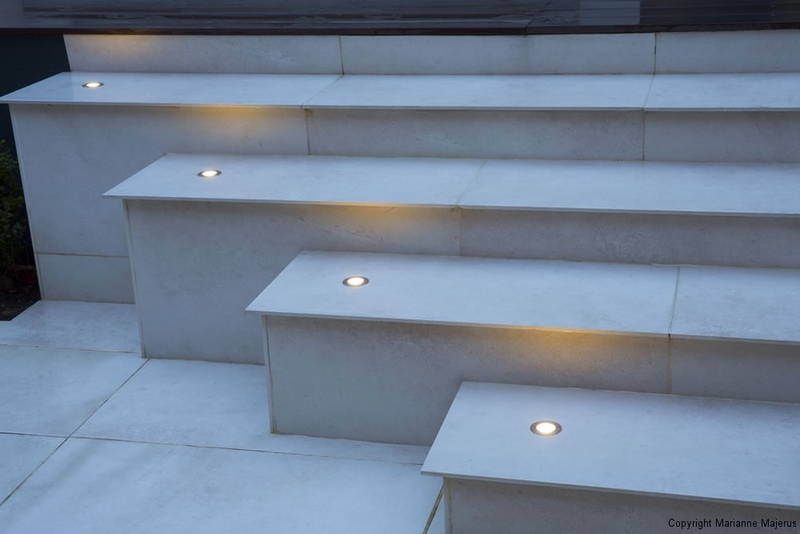 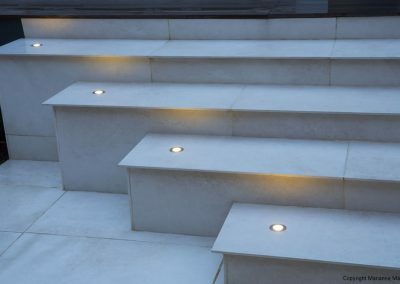 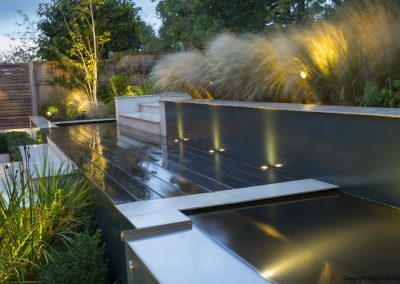 Subtlety is the name of the game with lighting – an overly lit garden can share a nasty resemblance to a football pitch, the glare of which can be blindingly painful on the eyes. 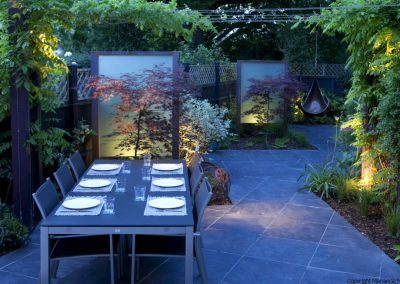 However, completely dark areas within a lit garden feel sinister and threatening and can be dangerous too. 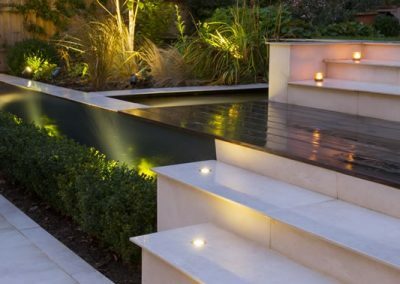 I like to section up the garden into different key areas so that each can be lit either independently or all together eg dining area, water features, focal points, steps and pathways. 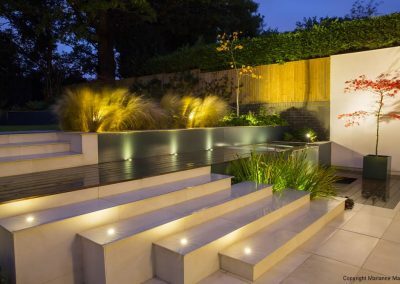 Consideration on how to best light these areas is crucial to the success of the lighting design, for instance dining areas should be lit from above to avoid glare in the eye and a dark area on the table top, steps and pathways should be adequately lit for safety but without taking away from focal points. 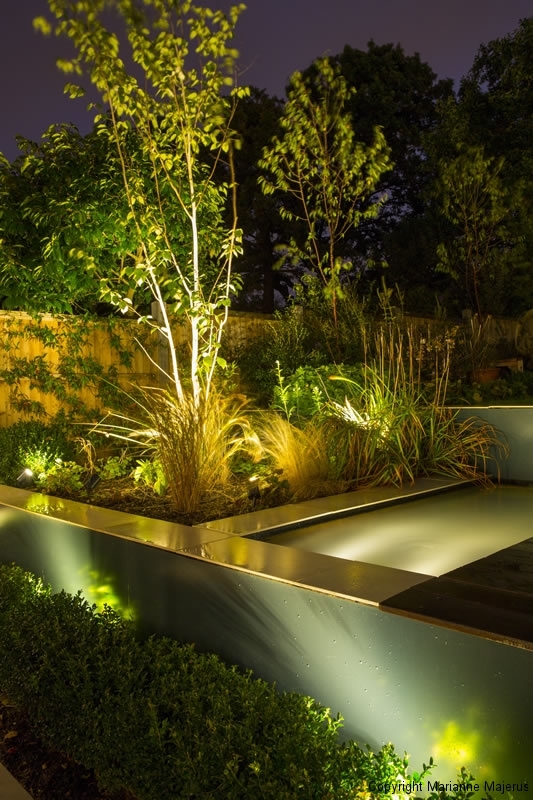 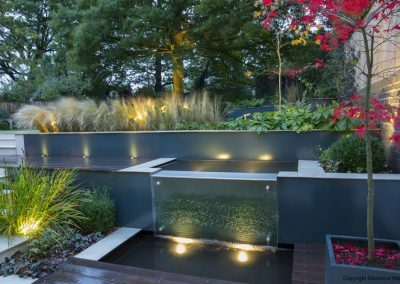 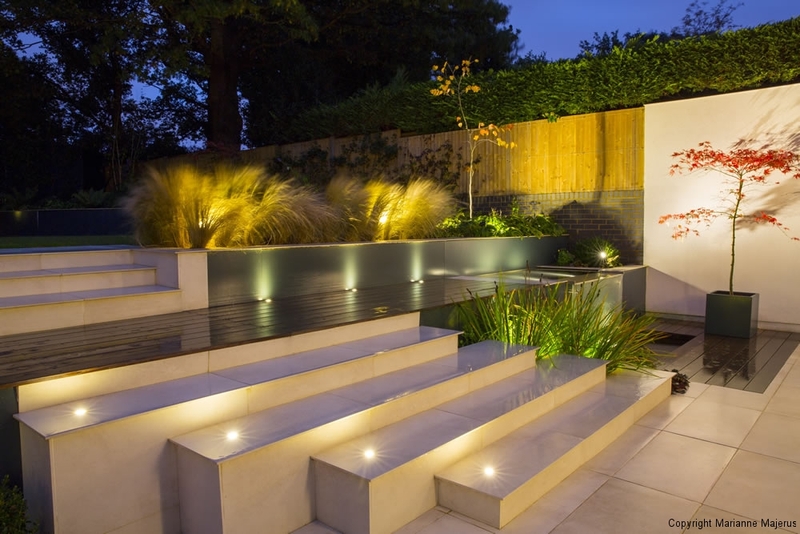 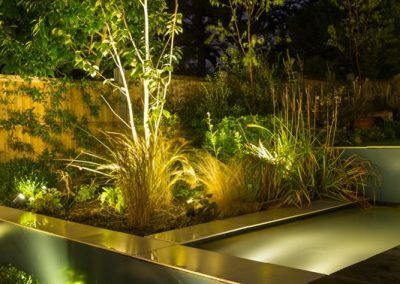 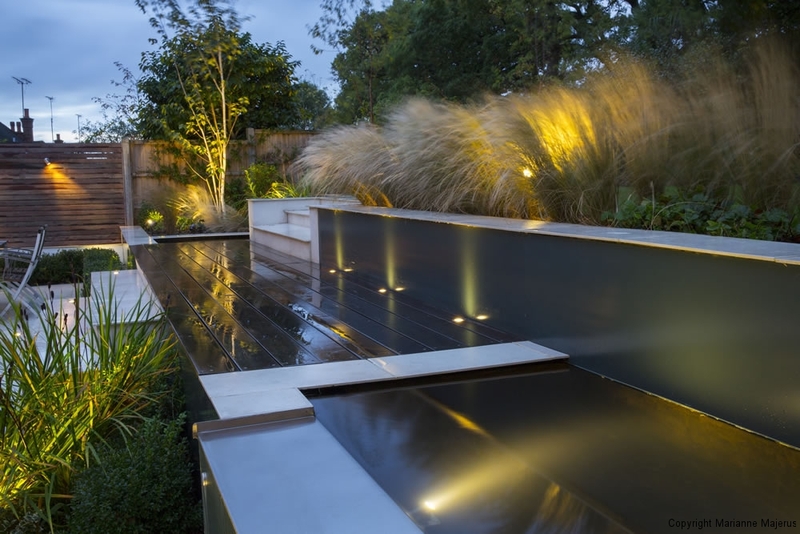 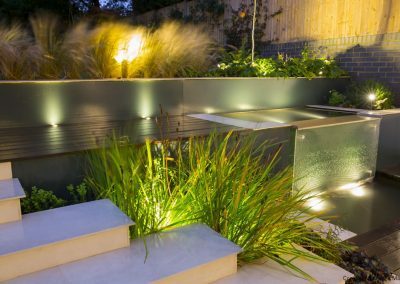 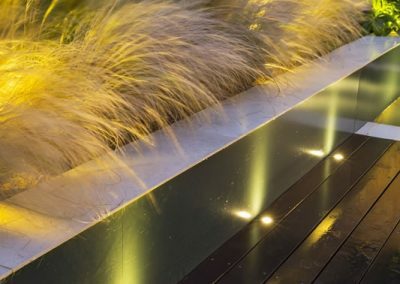 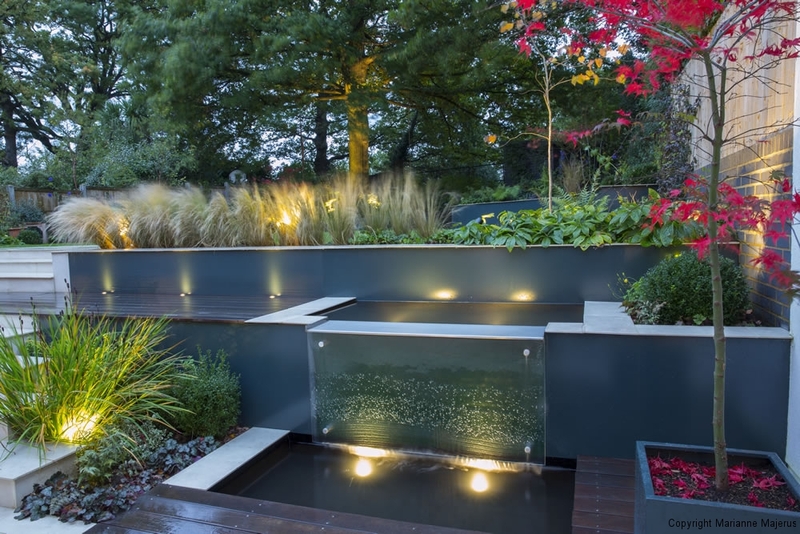 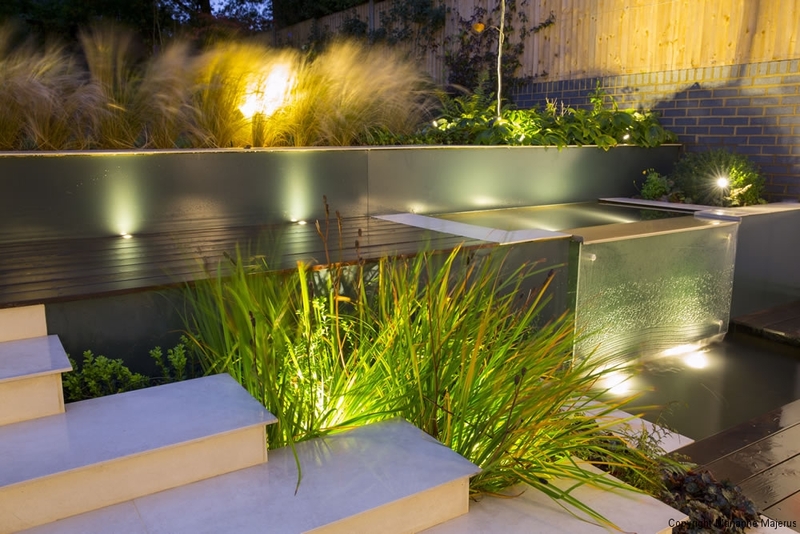 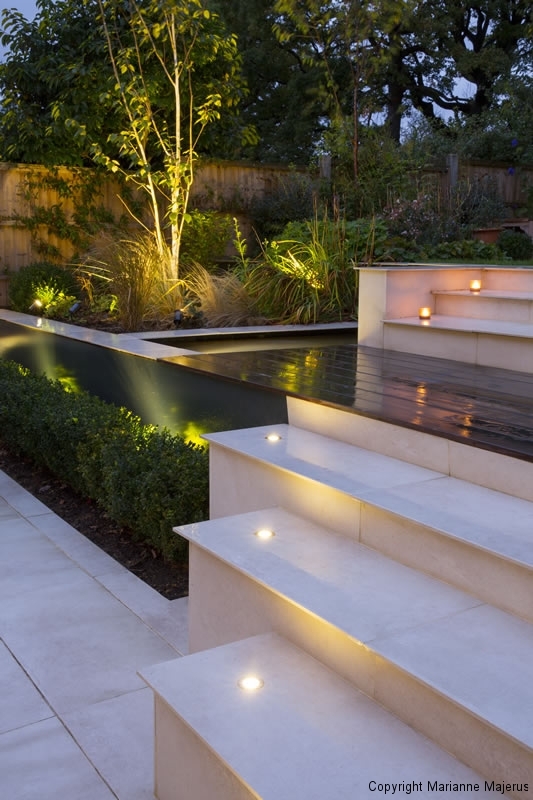 Key plants and focal points such as water features and sculpture look fabulous when sensitively lit, but this has to be in conjunction with the entire garden design to be successful.